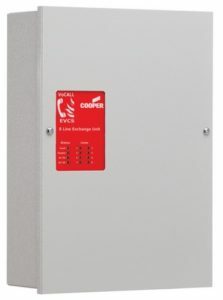 The CFVCX8 VoCALL Network 8 Line Exchange unit is a small, wall mounted unit which can be distributed throughout a site and concealed from view in convenient locations such as risers, stairwells and cupboards. Using this system greatly reduces the cabling requirement and equipment ‘on view’ in key places such as reception areas, making the system aesthetically pleasing to the customer as well as reducing the cost of installation. 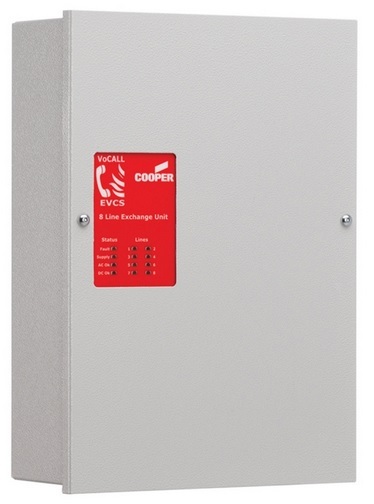 Each Network 8 Line Exchange unit sits on a network and is locally powered with internal battery backup from a monitored, maintained and sealed lead acid battery.